Announcement Personalized Hand Stamped Jewelry created by Regina Ann Designs. 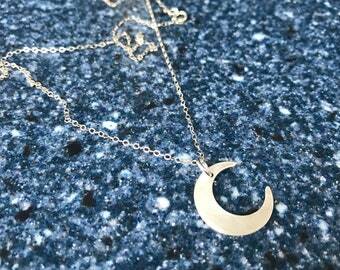 Each piece is hand stamped which makes them all unique and special. My turn around time is currently 2 weeks! Thank you for stopping by my shop! ***"Please visit us at www.facebook.com/reginaanndesigns to receive sneak peeks and Promotions. Business days are Monday through Friday. I do not work on Saturday, Sunday, or holidays. I will answer questions via shop convo, but I will not ship items on these days or count them as a processing day. If you need a rush order, please contact me through Etsy ASAP! I will be happy to help! Please make sure that your PAYPAL shipping address is correct when you checkout.. Your items will be shipped to your PAYPAL address. I love to do custom orders, please contact me so we can make a special piece for you. If you have any questions please use Etsy convos only to get a hold of me at anytime. Please leave any information in the "notes to seller" area before checkout. Such as names and color of charms. Each piece is hand made by me. There is no machinery involved. Therefore each piece is unique and custom-made. I put lots of care and love in each piece. I hope you will love your personalized handmade jewelry. Personalized Hand Stamped Jewelry created by Regina Ann Designs. Each piece is hand stamped which makes them all unique and special. I am always so happy with my purchases at ReginaAnnDesigns.She is such a pleasure to work with & I love all of her creations. OMG!!!! The specialness of this bracelet for my husband is SPECTACULAR!!!!! I got one in black and another in brown and he and I loved them both!!!! Welcome to Regina Ann Designs! Thank you for visiting my Etsy shop! I hope you had an enjoyable shopping experience. All the pieces in my shop have been handcrafted by me by hand, no machinery is used. Each letter or design has been individually stamped, therefore there will be slight variations to each piece which adds to its uniqueness. Each piece has been oxidized, brushed and polished to give it an antique look. I hope you enjoy what you see. If you don't find anything that suits you, please contact me with what you're looking for, and we'll come up with a piece that is right for you. Because each piece is individually hand stamped and personalized, I cannot accept any returns. I want you to love your piece. If for some reason you are not happy, please contact me asap. So we can discuss the issue at hand. I accept payments through Paypal only. Please pay upon checkout. Etsy's policy is that payment must be made within 3 days of the order being placed, otherwise your order will be VOID after three days and the item will be relisted. If you need help using Paypal check out the following article. All orders are shipped via USPS First Class Mail. Once payment has been received, orders will be added to the queue. Current production time is 2 weeks before shipping, however, I will try to get your order completed more quickly if at all possible. All items will ship to your "PAYPAL Shipping Address". Please make sure your " PAYPAL Address " is correct. If you'd like the item to be shipped to a different address, please include that information in "notes to seller" at checkout. All orders are packaged gift ready, in a gift box with ribbon. I will not stamp inappropriate or profane words or phrases. If there is a problem with your personalization, I will contact you.